Sporting impressive specs – Intel Core i5 chip, 8GB RAM, 1TB HDD + 24GB SSD, and 2GB NVIDIA GeForce GT 740M graphics, the HP Envy Touchsmart 14 barely qualifies as an ultrabook. Having said that, it’s one of the most powerful 2-kg laptops money can buy, and definitely worth considering if you’re vying for a power-packed ultrabook experience. 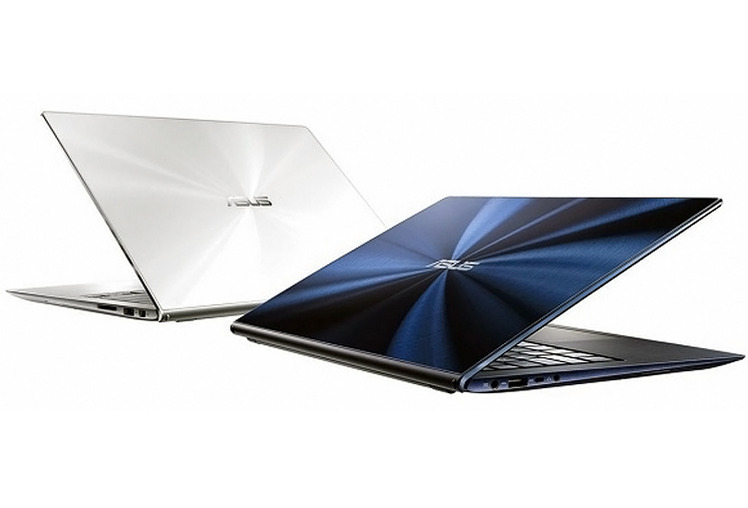 The ASUS Zenbook is also right up there among the most desirable ultrabooks to buy in the market, currently. It has a Full-HD screen, 13-inch form factor, powerful hardware, including a discrete GPU with 2GB RAM, Windows 8 Pro OS, and a multitouch screen. It’s slim, trim and weighs just 1.5 kg. Great ultrabook to buy, hands down. Sporting a metal exterior and a thin profile, the Dell Inspiron 14 7437 weighs just 1.99 kg – which is great for a 14-inch laptop. It comes with a Core i5 chip, oodles of RAM, 500GB hard drive and onboard Intel HD 4000 graphics. If you want a 14-inch ultrabook, without breaking the bank, this one is a sound bet. It’s hard not to fall in love with the Acer Aspire S7’s looks and fall in love we did. Intelligent design and hardware choices means that this device performs just as good as it looks – sporting a metal exterior and a power-packed SSD. If you’re looking for a thin, light, powerful ultrabook to use on the go, in a coffee shop, or inside a boardroom, the Aspire S7 will impress every step of the way. Easily one of the best ultrabook we’ve reviewed this year. The Apple MacBook Air 13 128GB Laptop has an elegant unibody aluminum design that looks very stylish and is durable as well. This sleek laptop is meant for business professionals as well as frequent travelers. The Apple MacBook Air 13 128GB Laptop has a 13.3 inch High-resolution LED-backlit glossy widescreen display and supports powerful dual-core Intel Core i5 or i7 processor and DDR3 memory. It supports 128GB HDD that gives you ample space for all your .